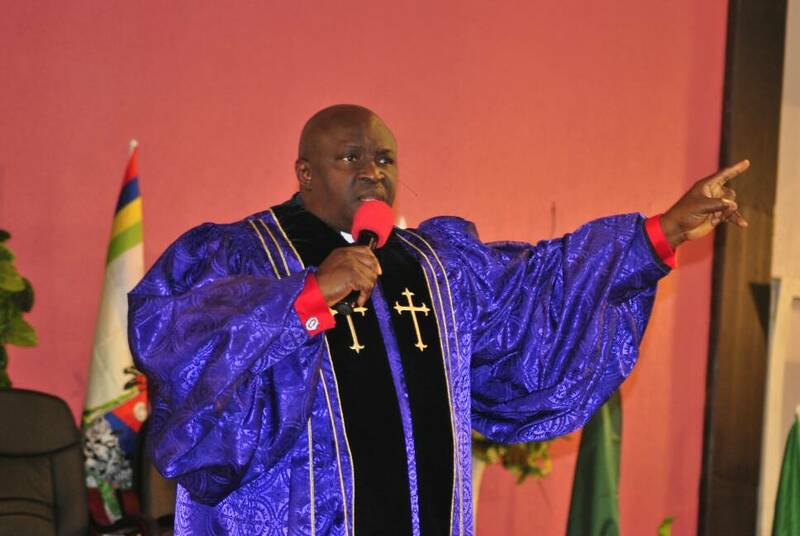 BISHOP DR. CHRIS KWAKPOVWE, 'OUR DAILY MANNA' MID WEEK PRAYER FIRE FOR NOVEMBER ANOINTING SERVICE! "POWER PASS POWER! EVIL SERPENTS MUST CATCH FIRE"! MARK 16: 17 & 18. DUE TO THE ANOINTING SERVICE OF THIS WEEKEND SUNDAY, THE MIDWEEK PRAYERS OF TODAY IS TO PREPARE YOU FOR THAT GREAT EVENT. THOSE OUTSIDE LAGOS OR NIGERIA ARE TO LOG INTO THAT SERVICE THIS SUNDAY 8AM. COME WITH YOUR ANOINTING OIL AND ANY POINT OF CONTACT. BE EXPECTANT AND PRAY THESE PRAYERS BELOW FOR NEXT 4 DAYS. 1. Thank the Lord for another MIDWEEK PRAYERS, for the gift of life and for all that He is doing in your family, career, job, ministry, business etc. 2. Thank the Lord for another GATHERING OF CHAMPIONS this weekend, the NOVEMBER ANOINTING SERVICE this Sunday at OGUDU MOUNTAIN. 3. O LORD, in this WEEK'S ANOINTING SERVICE whether the devil and his Cohorts like it or not, they must confess that, "POWER PASS POWER" in Jesus name. 4. You EVIL SERPENT of MARINE ORIGIN on a mission to SWALLOW or that have SWALLOWED my salvation, PEACE, joy, FAVOUR, FINANCES, etc, you shall VOMIT it and die THIS WEEK/THIS SUNDAY in Jesus name. 5. O God, I scatter every plan to ATTACK the ANOINTING SERVICE of this Week and every satanic PLAN that wants to KEEP ME FROM ATTENDING. I decree greatness and testimonies for my loved ones, my business, marriage, career, ministry etc this weekend in Jesus name. 6. Pray for EVERY MINISTER, CHOIR and all the units preparing for the service that they shall be filled with the ANOINTING of the HOLY GHOST! 7. Pray for all pastors from OTHER MINISTRIES OR CHURCHES who are coming, that their MINISTRIES shall grow and explode by FIRE! 8. Pray for me Bishop Dr Chris. Decree FRESH OIL, AUCTION, GRACE AND DEW OF HEAVEN to rest mightily on me for the anointing service. 9. Thank the LORD in advance for what He will do. DECLARE THE SCRIPTURE ABOVE! FAST ON SATURDAY 6AM - 3PM AND USE THESE PRAYERS TO PRAY! SATAN WILL DO ALL HE CAN TO KEEP YOU FROM THAT SERVICE. RESIST HIM. BE THERE AT OGUDU MOUNTAIN 8AM, 8/10 OMOTAYO BANWO STREET, OGUDU-ORIOKE, LAGOS. This weekend EVERY EVIL SERPENT HOLDING YOUR STAR, MARRIAGE, and DESTINY shall catch fire !!!! Amen and Amen. SEEING YOU AT THE MOUNTAIN! BISHOP DR CHRIS KWAKPOVWE ODM WORLDWIDE.